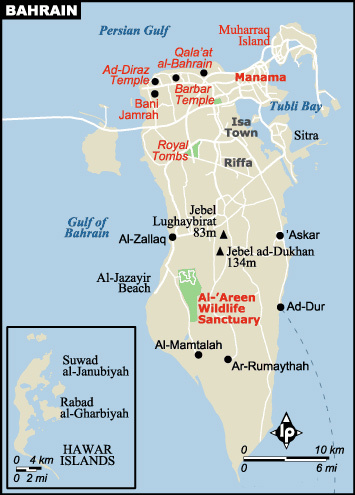 Manama, located at the northeastern tip of Bahrain Island, is the very new capital of a very old place. Along the city's northern edge, most hotels and official buildings sit on reclaimed land and are brand new, while some neighbourhoods just blocks inland are the same as they were 50 years ago. The city's major attraction is the National Museum, a modern building with excellent exhibits well-marked in both Arabic and English. The museum covers 7000 years of Bahrain's history, including its grave mounds and temples; its Dilmun, Tylos and Islamic periods; and Arabic writing and calligraphy.